It is frighteningly easy to have monumental, albeit unintentional, financial slips when you are fresh out of college with the real world staring you in the face every day. In the real world, where my parents cannot, in fact, let me borrow the family car anymore, I come to the crushing realization that I’d have to buy one for my own. It has taken every fiber of my body to miraculously maintain good credit and I was not about to throw it all out the window, so I had to make some well-informed decisions. I’ve picked up answers to a few key questions along the way that helped me make some of the smartest decisions of my life. I am now the proud owner of a used car and still maintaining that above average credit. I have personally been saved from many a rash decision by well-researched compare and contrast lists and this time was no different. When buying a car, any car, the sale price is not the only thing that will cost you. You will also have to think about possibly getting a used car loan, the insurance, the gas, the maintenance and so on. Keeping all of these costs in mind, I needed to narrow down the total amount that I was willing, or better yet able to spend on a monthly to yearly basis. I found that one can easily find rankings of cars according to fuel efficiency, reliability, the cost of upkeep and overall cost from various online sources. If you’re looking for a car at a selling price lower than $5000, 90s models are your best bet. Some great options are the 90s Honda Accords, Toyota Camrys, Toyota Corollas, the Mazda MX5 Miata, the Honda CR-V and various Ford Expeditions. On the other hand, some newer models may be in your price range and Consumer Reports offers a fairly thorough list of vehicles under $20,000, which I found to be very useful. Once I had a few vehicles in mind, I made a list with the estimate costs accompanying each vehicle. From there I was able to see which ones would best suit my needs (and some wants). First, I made sure to get as familiar with my credit history as possible. I got copies of my credit history. You’re allowed free credit report copies every 12 months from the TransUnion, Equifax and Experian. Second, do not borrow more money than is necessary. I planned how much money I could spend on a monthly basis and how much that amounts to annually. I stuck as close to the annual number as I could. Lenders will try to have you focus on the monthly figure so that you ultimately end up borrowing more money than you intended. Focus on the annual figure and keep the loan as short as possible. This makes sure that you’re not borrowing too much and that you end up paying more interest than you absolutely have to. Always shop around. Whether it’s for the loan or the car itself, you want to get multiple offers and do your own research to boot. If you have good credit you might want to start with your own bank, then go out and get other offers. Then pit the lower offers against each other to get the best deal. I distinctly remember a conversation I had with a manager at one of my local used car dealerships and he made it clear to me that the greatest leverage you can have when negotiating loan terms is a competitor’s legitimate offer. People want your business, so it’s up to you to make it worth your while. I learned that my credit score decreases every time I apply for a loan. Unless I hand in all applications within a two-week period. It is a very short time period, but I managed to adhere to it, thus counting all of my applications as just one inquiry on my credit report. This next part may be the most important. Once all negotiations are over and promises have been made, do not simply sign the contract. Take it home and read it cover to cover. Everything you negotiated, every promise, every monetary figure that you agreed on, has to be in there. There is no such thing as an oral contract. Everything must be in writing. In my research, I learned that one should shy away from words like conditional financing or variable interest rate. Those basically mean that the amounts and financial terms you agreed on are not final and that they are subject to change. As a recent college graduate, my whole financial situation is subject to change, haha. I was not willing to risk my car loan. It’s important to look into both used car dealerships and private sellers. Each option has its own set of pros and cons but ultimately it depends on which you prefer. Less paperwork for you. The dealer will usually take care of registration, ownership and title transfer. Dealerships may offer statutory warranties on certain used vehicles. Sometimes they offer in-house services from financing to arranging used car loans. Inspected and Repaired. This varies from one dealership to another but some do their own inspections and repairs before selling used vehicles. It is still good to check it out for yourself or have someone you trust to do it for you. Bigger price tag. They can be a little bit more pricey and less negotiable than private sellers. The key is to stay focused on your needs and not get distracted no matter how persuasive sale signs or people can be. The Bigger window of negotiation. Especially when a seller is keen on getting rid of their vehicle; they become much more flexible. You are in better control of the whole process. Dealers tend to ‘take care of everything’ for you which may or may not work in your When buying from a private seller there is no middle man, so everything is out in the open. No commissions. Unlike salespeople at dealerships, private sellers are not fighting to get a commission, so there is a lot less pressure. No strict laws. Dealerships have to abide by certain state and federal laws, making it a little safer for you as a buyer. Private sellers do not need to adhere to any such laws. All paperwork needs to be dealt with. Only yourself and the seller are responsible for registration, title transfer, bill of sale, and any taxes. No warranty. It’s as simple as that. Private sellers do not offer warranties on the car they are selling. Inspections and repairs fall to you and the seller. The risk of riding away in a faulty vehicle is much higher when you buy privately. You need to make sure that everything is in order before signing anything or paying. If you are confident in your ability to ensure that everything is done as well as it can be and looking to spend less money, buying from a private seller could be best for you. If you prefer that all the details be dealt with by someone other than yourself and are willing to spend a little more money, buying from a dealer could be for you. You should make your decision based on what is most affordable and comfortable for you. If you prefer that all the details be dealt with by someone other than yourself and are willing to spend a little more money, buying from a dealer could be for you. You should make your decision based on what is most affordable and comfortable for you. Before you start negotiating prices or any adjustments, you need to be absolutely sure of where the vehicle is coming from and any other important details. When you see a car you like, there are a few things that I found out one should get from the dealer or the seller before committing. Using the VIN you can find a car’s history: how many people have owned it, how many times it has been repaired or serviced, you can even use it to check if the vehicle has any recalls. Carfax offers a vehicle history report with a brief account of the vehicle from the moment it left the factory. They are fed with information from nearly every motor vehicle agency in the US and Canada as well as reports from collision repair facilities, fire and police departments, and more. This is a really handy tool and one I found to be indispensable. Verifying mileage, location history, history of accidents, repairs and so on was also very beneficial to me. You would be surprised at how much can be omitted when someone is trying to sell you a used vehicle. Print out a bill of sale. (This mainly applies to private sales) As with getting a loan, you should always have everything on paper. Don’t leave it up to the seller. Make sure you get the bill of sale by taking it with you. Once I had checked out all that I could electronically, it was time to inspect the car in person. I completed this step with my uncle, who’s a mechanic. I asked him to walk me through what he inspects in order to learn what he was looking for every step of the way. First thing’s first; look for any visible scratches or dents. Make sure that you are making note of any damages or discoloration in paint. Next, comes the tires. Check the tread depth and tire pressure. Also look to see if they have any bulges, cracks or objects sticking out of them. Then check the brake pads and rotors. You need to see how thick the pads are and if the rotors are scored or have significant grooves. Go ahead and pop the hood. Check if the engine is oily or greasy, it should be dry and clean. Pop off the oil filler cap and make sure that it’s not caked with carbon and grime. Pay attention to any strange smells. The smell of burnt oil or antifreeze is a bad sign. Look to see if the battery is in good condition. Also, keep an eye out for any cracks or leaks, namely oil and coolant leaks. You will want to check for that while under the vehicle as well. Check the color and level of oil as well as brake fluid. Both should be nearly full and a clean brown color. If the levels are low, or the substance is blackish and thick, you may have a problem.The last thing you want to do under the hood makes sure that the belt and pulleys are in good condition. The belts should not be frayed, cracked, brittle or slick. Look for any worn out spots or rubber deposits on the pulleys. Get in the car and check the interiors. Make sure all windows are in shape and work. Try the sunroof if there is one. Turn on the A/C and heating to ensure that they both work. Check every door and all the locks. Turn on the radio, stereo or any other entertainment system that may be in place. Make sure the dash lights are all in place and that none of them are blinking. Generally go over every inch, jiggling stuff around and get a feel for anything that might be missing, damaged or not working. The last thing is the test drive. It would be good if you are able to get a cold start and listen hard for any rattling. While driving be very aware of any strange smells, sounds or feelings. Make sure that the brake does not hit the floor and that it is not spongy. Make plenty of turns, hit some bumps and pay attention to how they feel. You will also want to put the car in high gear and press the gas. If it revs too easily that may be a problem. If you are still interested in buying the car once all these steps have been completed, go over anything you noticed with the seller and NEGOTIATE. Think about how much certain repairs would cost you and use that. Be calm but assertive. I needed to find a car suited to my personality, lifestyle and bank account. Being a closet car lover armed with a deep adoration for all things Fast and Furious, I had an overwhelming number of ‘dream cars’ none of which were anywhere near my price range. 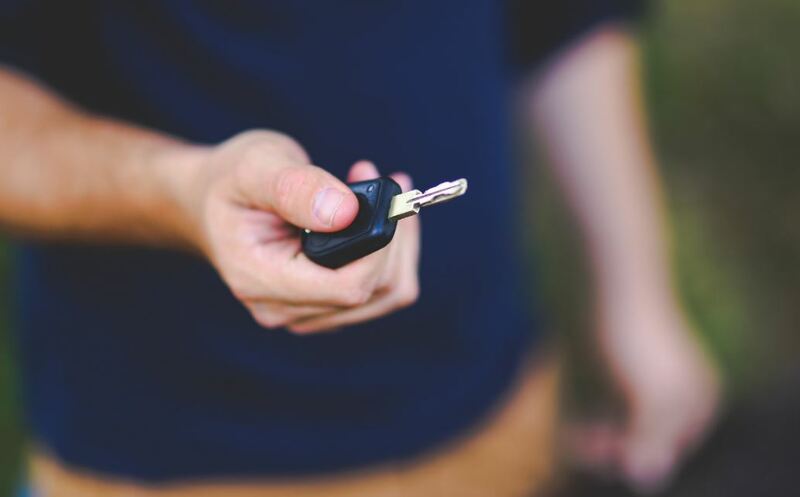 By following these steps and being as thorough as possible, I was able to achieve what I thought I would never be able to do on my own: buy a used car that offers me security on both a personal and financial level. Author Bio: Andrew Macia is a freelance writer from Southern California. After graduating from California State University in Fullerton he started work for an IT company. His passion is writing and writes mostly about the Internet of Things, Tech, Finance and of course Frugal Living. Fehmeen, great point, In my research I found that this happens quite often. I have a soft spot for new cars but would be open to applying these lessons to getting a newer used car. I try to forget how many awful used cars my parents went through when I was growing up. Maybe they just needed a list like this to make better choices! Exactly, I would always go for the “newer” used car. After all this investigation I found that the savings are huge between a new car and a 2 or 3 year old car. The difference between a new car and a 2 or 3 year old car are not that big. I’m going through the used car search right now. It can be grueling but it’s an important decision. Thanks for offering up some ideas! Glad you are happy. Make potential repair cost one of the factors in decision making process as well. I’m glad you liked my guest post. Let us know how your used car buying experience goes (as I’m trying to document as much as possible for future posts). Good Luck! I have always said it is better to get a used car. I prefer getting one from a dealer because they often offer a guarantee. In my experience I have found good deals by picking up a car that someone has traded in which is not the same brand as what the dealership sells. Also, avoid financing the purchase of a car. Paying interest on a depreciating asset which requires a lot of maintenance is a bad idea! Thanks for the comment PatientWealthBuilder. I’m wondering what the reasoning behind buying a brand that is not the same as the brand and/or brands that the dealership sells.